The complete solution for all your PHP development needs. The Zend PHP Developer Suite is designed to help PHP developers create higher-quality applications in less time by providing all the necessary tools all in one package. It includes a fully optimized PHP stack, a complete IDE for development, unique server-side debugging tools, application code protection technologies, a license management tool to facilitate distribution, and many wizards for easier application deployment on private servers or cloud platforms. 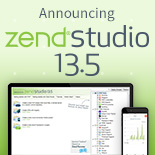 The Suite includes Zend Studio, Zend Server with Z-Ray, and Zend Guard. The PHP Developer Suite is a unique solution that includes all the components necessary for the full PHP application development lifecycle. It includes Zend Studio, the only Integrated Development Environment (PHP IDE) designed for professional developers. Through a comprehensive set of editing, debugging, analysis, optimization, database tools and testing, Zend Studio speeds development cycles and simplifies complex projects. Also included is Zend Server, the fully optimized web application server and PHP distribution for debugging, and deploying, higher performing PHP applications that will require a high level of reliability, performance and security. Zend Server adds value throughout the application lifecycle: development, deployment, performance optimization, and problem resolution. With Zend Server, developer can leverage Z-Ray for the ultimate debugging, including for mobile apps and on live servers. Developers will use Z-Ray to get unprecedented insights on their code and query performance, but also specific frameworks or application frameworks like WordPress, Drupal, Joomla and Magento. 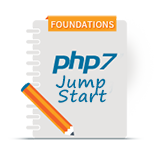 In addition, The PHP Developer Suite includes Zend Guard, the most widely accepted encoding and obfuscation solution for PHP. 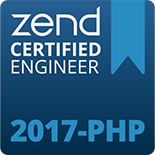 Zend Guard is designed to protect PHP applications from unlicensed use and from reverse engineering. 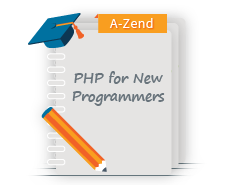 Encoding with Zend Guard allows developers to encode their PHP script at any time during the development process. More importantly, this enables code to be encoded prior to distribution or publishing. Zend Studio, Zend Server, Z-Ray, and Zend Guard are designed to work together, and to streamline the development and deployment process. The Zend PHP Developer Suite comes with standard developer level support agreement from Zend, the PHP company. All major and minor upgrades for both Zend Studio, Zend Server, and Zend Guard are included free for the term of the subscription, and specific support response times are defined based on service level agreement (SLA) ÌÎÌ_Ì´å ensuring your development processes are always running at top performance.